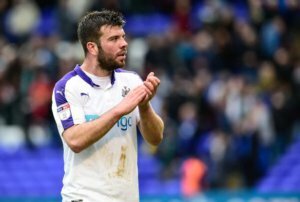 Grant Hanley is a player who may not be fully appreciated at Newcastle and he could still have a good future under Rafa Benitez on Tyneside. Grant is a dour Scot and a leader both off and on the pitch and those are the type of individuals you want in any successful squad. Hanley is not the most elegant of players at the back, but the lad can get the job done and he talks all the time and has good communication on the pitch. And it wasn’t surprising he was the Blackburn captain for quite a few years and is still just 25 years old. Newcastle manager Rafa Benitez has praised his performance on Saturday when Ciaran Clark was not missed too much and we kept our second clean sheet in three games, although we have only picked up 2 points in those games. Rafa has talked about the Scot’s performance in a game that could not have been easy for him because of his lack of match practice and playing time. It’s positive squad players this season like Grant who are the unlikely heroes for Newcastle for the way they have made the team spirit such a vital factor in Newcastle’s promotion drive. They deserve credit for that – and they’ll get it too if and when we are promoted. Rafa heaps praise on him …. (hopefully because he has decided that he has ‘felt a slight knock’ which means he has to miss the Scotland games) if you get my drift. It looks like the PL plans to move away fans to pitchside seats for next season (to generate more atmosphere ) may not be implemented at SJP – they have an exemption on safety grounds. IMO the starting 11 has become a little bit stale, unless injured the same players can rely on getting their positions. The likes of Hanley, Lazaar and to some extent Murphy & Gamez have not had the same opportunity to bed in and play to their best. I would have liked to include Mbemba but as we found out last week, he is uncontrollable! Not one of our defenders are fit for purpose in the PL…and I mean not one! Lascelles (who is marginally the best defender of the current crop getting a game) is both slow and ponderous and even a run of the mill fleet of foot premiership striker with turn him inside out and out-think him all day long next year. Lacelles slight possibility but a nope in my book. 3.) Will we be able to attract the quality of footballer to keep us up. If it is a decision between playing the fitest eleven each week or keeping a well drilled formation, I would obviously go with the latter as too many changes have negative consequences. However there is a balance and I expect an experienced manager of Rafas capabilities to get it right mie often than not. Jib @2 – I read somewhere NUFC had applied for an exemption for safety reasons – not sure if it has been accepted as we’re not even in the Premiership yet! However, for purely selfish reasons, I really hope they do because I’ve a horrible feeling my seat could be affected as it is below the away fans behind the goal. Lascelles, Dummett, Anita and Colback played a part in the upturn in performances at the end of last season, despite our eventual relegation. I do agree that if we are to survive in the PL in our initial season back, it will be through the team performing as a whole and all at their best. Rather than individual excellence and supreme technical ability. Read something on that the other day . The directive from the premier league to improve the atmosphere at grounds apparently . Lots of opinions as to the pros and cons of having away fans pitch side at st James though . It could actually stir up the atmosphere a bit . Sure those with season tickets in the lower tiers of the leazes east will view this differently . The same article mentioned delegations from nufc have been up to Celtic part looking at the safe standing section too. To me that would go a lot further to bring atmosphere back than moving away fans . If the safety concern is the away fans getting objects thrown on them, they would have to be allocated a section of the East Stand – with a segregation strip thingy. There have been plenty incidents of the home fans getting objects rained down on them over the years . People do talk such guff on here and all the nodding donkeys agree and go “hear hear”. Nobody expects Rafa to knock doors out of windows in his first season (s) in the top flight. There are plenty in our squad who will be able to do a decent job for a couple of seasons in the PL while “Proyecto Benitez” takes shape. All been well and we are actually in the league next year. At least we won’t need to be worrying about seeing the gurning unwashed behind the goal . promotion was the only goal this season and we are on track to win it !!!! In the dark days of carver ,pardew and maclaren I literally dredded watching our games . Now they can’t come around fast enough. one fine day & Lindisfarne – I think the main problem is entry and exit to the ground. At the moment the away fans entry/exit is on the opposite side of the concourse to the home fans (Leazes End) and the Police can segregate with a barrier very easily. If the away fans were using other entry/exits then segregation would be nearly impossible. After your telling the blog what idiots they were for writing off Riverie who in your opinion would become a top player under the expert guidance of top manager Steve Mclaren I don’t know how you have the brass neck to tell people they are spouting guff. To me it’s clear as the nose on my face that standing would improve the atmosphere dramatically – just look at the Bundesliga teams . “A dour Scot”. Hahaha, Roy of the Rovers stuff. I’m getting a bit ‘long in the tooth’ to stand for a whole game but I’m sure there are plenty who would. Again though you are going to have to chuck people out their seats to accommodate a standing area – is that fair? I still remember standing in the 70’s – you would get to the ground about 1 – 2 hours early to get a good position and then 5 minutes before kick off some 6′ 6” giant would stand in front of you and blocked most of your view – great days – NOT! Just imagine this in Black and White ! Jib – none of the stands are remotely big enough to get that kind of effect unfortunately. One of the reasons why the big banner rather than the flags in the Gallowgate looks better? The new standing areas rightly have safety as a priority and thus nothing of the density and excitement and thus atmosphere of the previous terraces. Most of those who would most enjoy standing are probably near the away fans currently in the ‘youth’ section. Massive changes all round to get it remotely right. Never read so much bollix! Ashley must surely know that without Rafa and substantial backing, we’ll quite likely struggle to stay up once back. He has little alternative but to do the right thing if he wants to be sure of getting a consistent share of this unprecedented epl windfall. He’s relegated us twice. He can hardly imagine it wouldn’t happen again if he reverted back to old ways, or that the fans would have it, after Rafa and what’s gone on before. 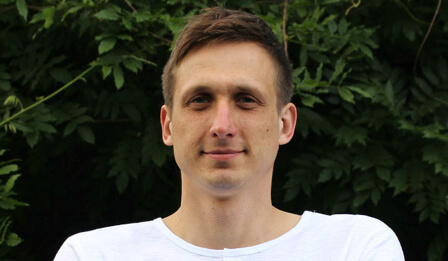 Someone mentioned Siem de Jong earlier. He’s coming back into form at just the right time. What a fantastic contributor to the blog you are !!! jimmysmith @25 – I’m sure Ashley does know this but the worry is he will revert to type. That is he will try to just spend enough to survive in the Premiership so instead of buying a striker that is top of Rafa’s list we buy the one that is, say, third on his list etc. A successful Rafa will make NUFC pots of dosh. Those are very very impressive figures for Benitez.